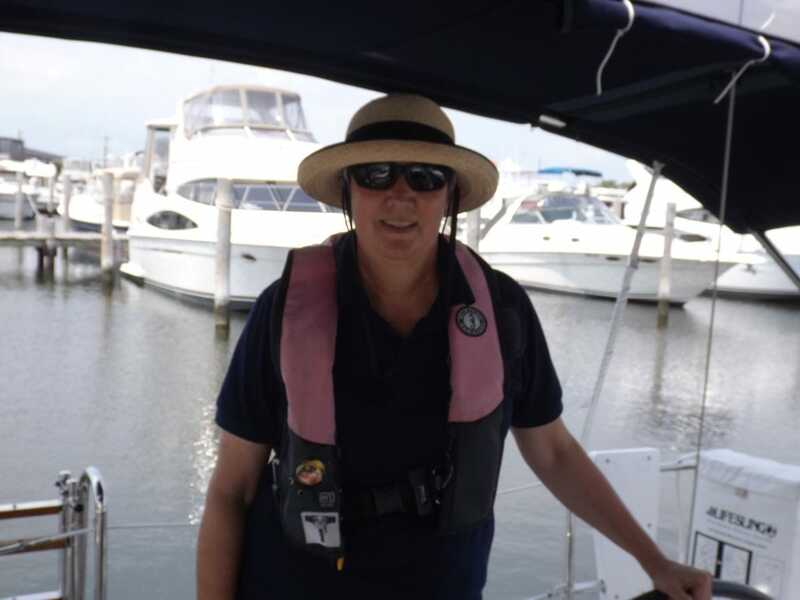 Sometimes summer school can be fun, especially for those sailing instructors who attended an ASA Instructor Qualification Clinic (IQC) held at R&R Charters and Sail School in Chester, MD. The weather for the entire IQC was beautiful with bright, warm shine sun and great wind except for the 204 session when the winds were a bit light. As we exited through the channel, all the candidates enjoyed watching the young osprey sitting in their nests on practically every day mark while their parents caught their lunch and brought it to the nests. 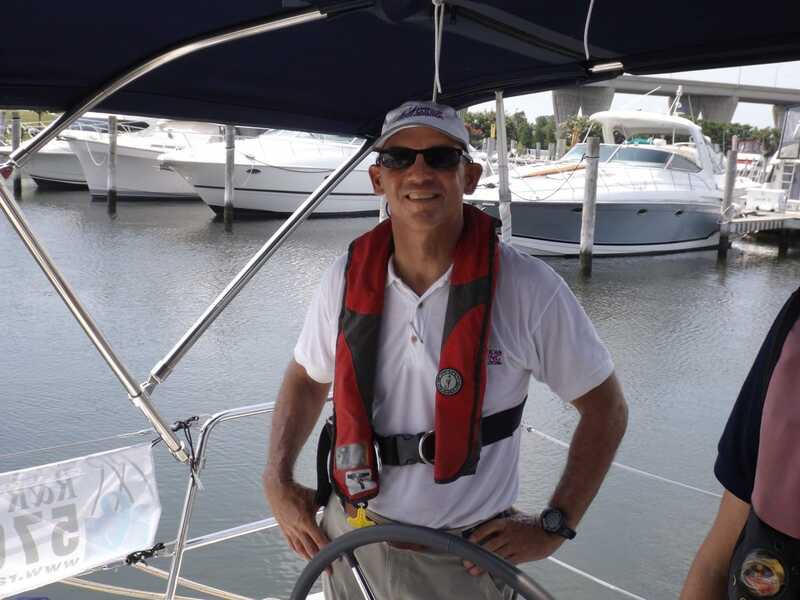 Our 201 candidates had perfect sailing conditions and with the perfect wind direction, sailed in through the channel into Amici’s home slip in the marina. 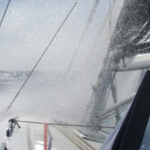 During our 203 session on board our Hunter 28, Moondance, the candidates had the challenge of some stronger currents caused by the approaching spring tides. 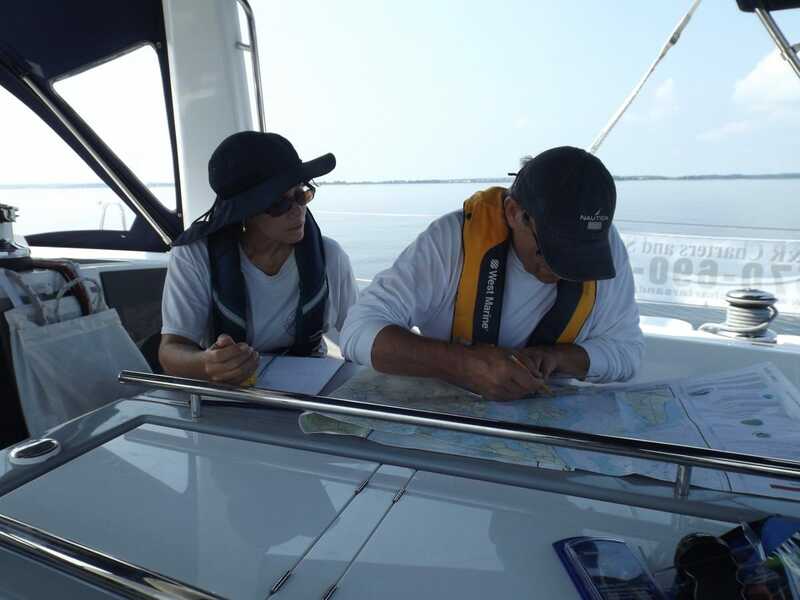 Candidates are charting the coastal navigation assignments. 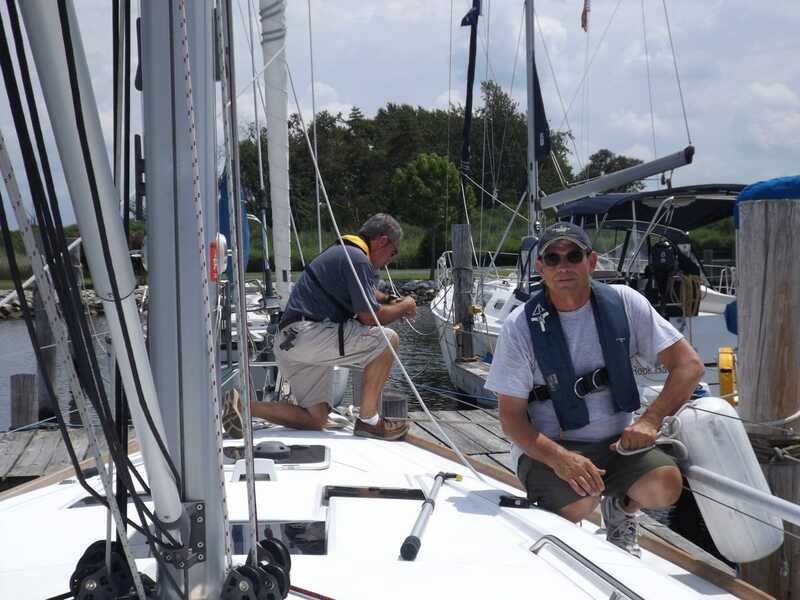 Even the 204 candidates had a great time taking bearings and establishing their fixes. After the first attempt, they achieved near perfect fixes, using three different marks. For our 218 session, the candidates had the opportunity to demonstrate their docking skills with wind blowing out of the slip as well as across the slips. 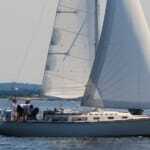 Both the 204 and 218 candidates enjoyed their experience on board our new Beneteau Oceanis 41. 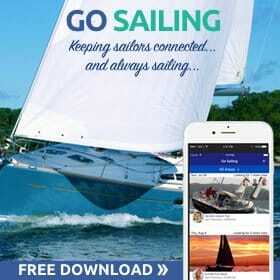 Each candidate was a great sailor and presented excellent teaching assignments. 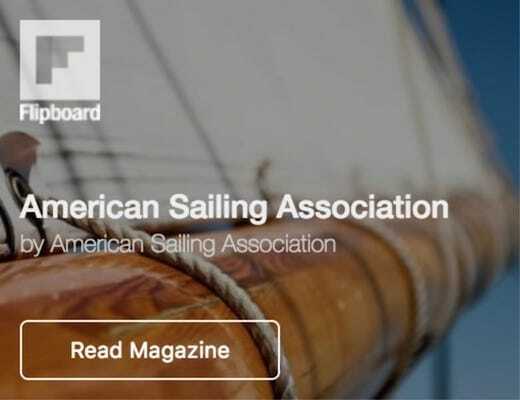 I am very proud of all of them; they will be super representatives of American Sailing Association in the near future. 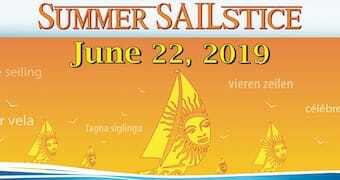 A very special group of sailors feel the need to share their knowledge and love of sailing with others through sailing instruction. 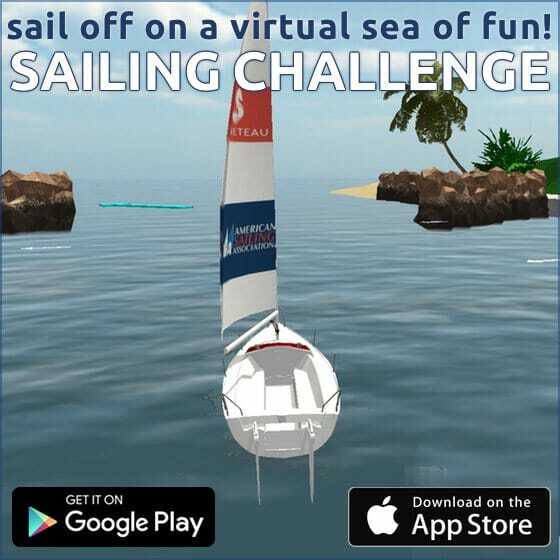 Find out if you have what it takes, become a sailing instructor today!